Some Petr Mrazek magic denied him a goal, but it hasn’t diminished the European flair displayed by defenceman Roman Josi at the World Cup of Hockey. It was a sparkling second period save which prompted a collective gasp from those in the seats at Air Canada Centre and several headshakes from a stunned Team Europe squad. Finding himself in prime scoring position, Josi snapped a quick shot that appeared destined for the back of the net, only to be thwarted by a sprawling Mrazek in the Team Czech Republic net. While he didn’t gain the upper hand on that play, Josi was highly visible throughout a 3-2 OT win for Team Europe, a victory that would eventually lead to a spot in the semifinals after Team USA’s 4-2 loss to Canada on September 20. The 26-year-old had 28:06 of ice time against the Czechs – tops amongst both teams – recorded five shots and was a perpetual offensive threat throughout the game. In Europe’s 3-0 blanking of Team USA on September 17, Josi was a plus-three and logged 23:07 of ice time. The performances are strikingly similar to what he showcased throughout the 2015-16 NHL season on the Nashville blue line. It was a campaign that included 14 goals and 61 points, the latter a team record for most points by a defenceman. Josi was also selected to play in the 2016 All-Star Game held in Nashville and finished fifth in Norris Trophy voting. These days, he’s thrilled to be part of World Cup squad that not many gave a chance to be where they now find themselves. Josi is no stranger to coming up big on the international stage. 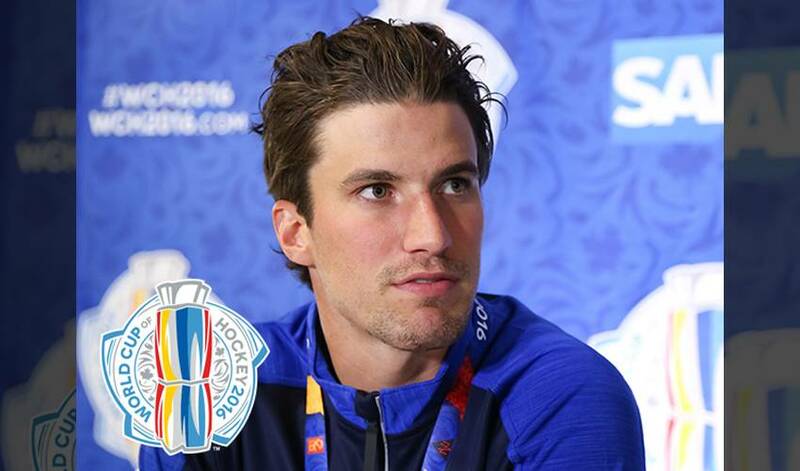 In 2013, as a member of the Switzerland side that won silver at the World Championships, he scored four goals and posted nine points in 10 games, en route to MVP honours. Now, he’ll look to add some more hardware to his trophy case. “Coming in here at 33-1 long shot, the Las Vegas bookies, it's a lot of fun,” said Team Europe head coach, Ralph Krueger. Those odds get a little better with players like Roman Josi in the fold. Get to know Nashville Predators captain, Roman Josi! Great player. Great teammate. Great ambassador. Don’t expect any of it to change now that Roman Josi is the new captain of Nashville.